Manufacturer, Supplier, Trader and Exporter of Bottling Plants, Stainless Steel tanks, Bottling Tanks, Storage Tanks & Filter. 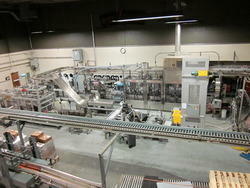 We provide a Complete Solution for Bottling. 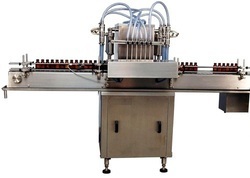 "MANUFACTURER OF COOMPLETE TURNKEY LIQUOR BOTTLING PLANTS"
Established in 2014, We are engaged in Manufacturing, Supplying, Trading and Exporting an elaborated range of Industrial Tanks and Conveyors. 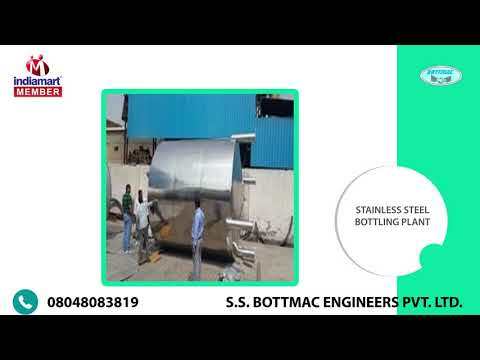 Our comprehensive product line encompasses Tanks for Bottling Plants, Stainless Steel Tanks, SS Bottling Plant Storage Tanks, Storage Tanks, Stainless Steel Bottling Plant, Bottling Storage Tanks and Stainless Steel Storage Tanks. 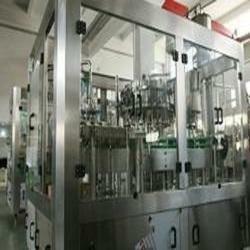 In addition to these, we offer Liquid Filling Machinery, Liquid Micro Filter etc. Our machines are highly reliable, and are designed to deliver optimum performance at low cost of operation. Made in compliance with the industry guidelines, these machines are strictly tested for highest standards of quality. Our machines are supplied to the Clients in Indian Subcontinent, East/Middle Africa, North Africa, South/West Africa and Middle East. Owing to the extensive features, our machines are used by some of the industry giants including Radico Khaitan Ltd., Bajaj Hindustan Ltd., OJAS Industries Ltd., Agribiotech Industries Ltd., Mc Dowell & Co. Ltd., Himalayan Distillery Ltd. (Nepal), ITS Frankofone Industries (Congo) and many others. Our name is synonymous with superlative quality, reliability and durability. We strive to maintain consistency in our product quality. An in-house quality control unit, and a team of expert procurement agents, production supervisors and quality controllers assist us in meeting the highest standards. 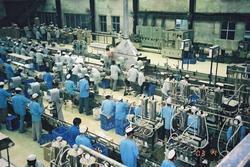 Adhering to the industry guidelines, we develop the machines in our production unit through latest production technology. Once the production stages are completed, our quality controllers take charge and closely inspect the design and performance of each machine. The ready products are sent to the packaging unit, from where the organized consignments are dispatched for final delivery through various transportation mediums.